Barcelona is currently one of the most important cities in Europe for doing business and creating companies and is also a magnet for both local and foreign enterprise. Barcelona is the southern gateway to Europe, the centre of an emerging economic Eurozone, the Mediterranean capital, a bridge to the Maghreb and a platform for links to Latin America. Barcelona is the only city in southern Europe that combines one of the biggest ports in the Mediterranean with a high-speed train station, an international airport, motorways that connect to the European network, the second biggest amusement park in Europe, and one of the most important logistical areas in the southern continent. 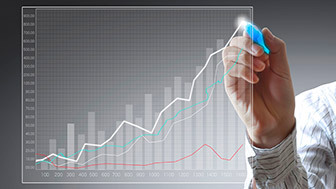 Barcelona is a leading city and the driving force behind a big economic area. With a long tradition of industry and a robust business framework, the city is promoting its economy and intensive knowledge activities, particularly in advanced services and new economic enterprises. Ninety per cent of the 5,000 foreign companies in Catalonia are in the Barcelona area and more than half of the companies in Spain are in Catalonia. These companies are mainly Japanese, Italian, North American, French, Austrian and Swiss. Several economic sectors linked to new technologies and sustainability are growing intensively in Barcelona, offering attractive opportunities for business and investment. Forty-eight per cent of the city’s workforce is employed in intensive knowledge services. There are eight public and private universities in Barcelona that hold great prestige in various fields, and two of the city’s business schools – ESADE and IESE – are among the 25 best in the world. 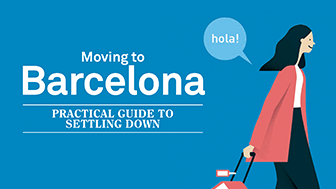 One of Barcelona’s most distinctive features is its ability to move with the times by constantly re-inventing its urban-planning. Strategic projects for the city’s economy that are currently underway deal with logistics, internationalisation, accessibility, technological development, creativity, design and research. Barcelona has a long tradition of commerce and enterprise. Barcelonians are entrepreneurial, responsible and serious in their work as well as being open to doing business with people from other markets. Barcelona is establishing itself as a European centre for the creation of new companies. Barcelona is the European city with the best quality of life for workers, according to the European Cities Monitor, a position it has held for the last 14 years. 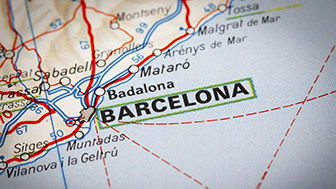 Various independent international comparative studies and analyses favour Barcelona, which is deserving of its internationally recognised prestige. Barcelona’s distinguishing characteristics include creativity and innovation and the city also excels in the fields of business, research and knowledge. The city also has a reputation for offering high-quality living standards and for being a sustainable tourist destination. The Barcelona Business Support Office, which falls under the aegis of Barcelona Activa, provides customised advice to companies in all areas of administration; this advice covers aspects ranging from company start-ups and transfers to recruitment and internationalisation. Barcelona Activa provides a service to those looking to start up their own business project. It organises training sessions and it also offers the chance to establish start-ups in one of the city’s business incubators.